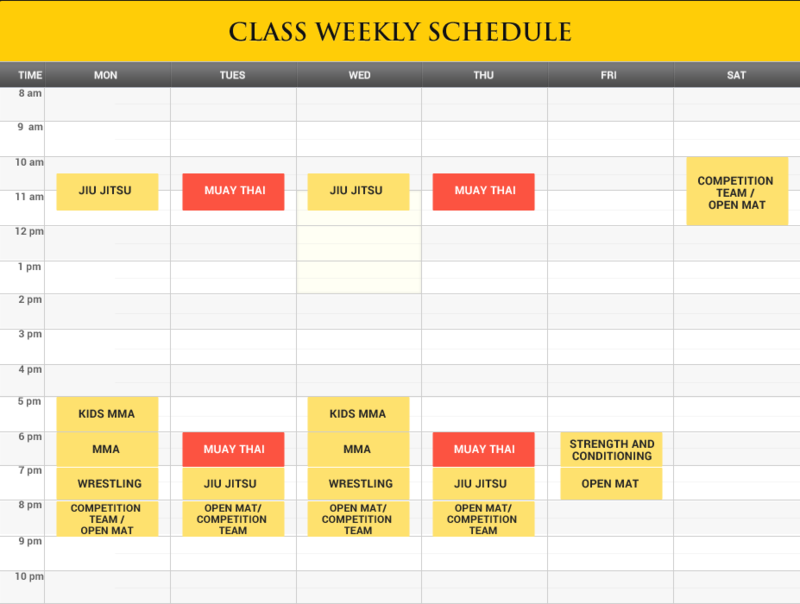 Find out what classes are available when by exploring our CALENDAR HERE . 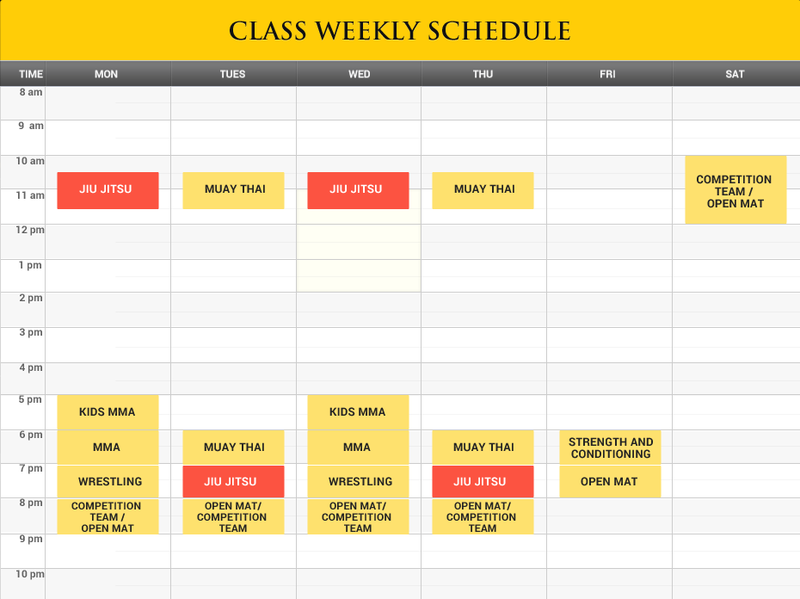 Click on any class to find out more details about what you’ll learn and who’s teaching. 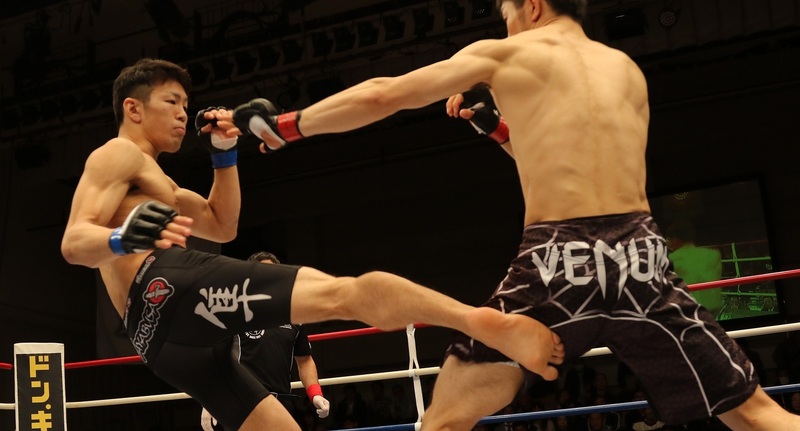 Mixed martial arts (MMA) consists of a mixture of the best of all the martial arts, including Muay Thai, Jiu Jitsu, wrestling, Judo, ground-and-pound, and transitions. 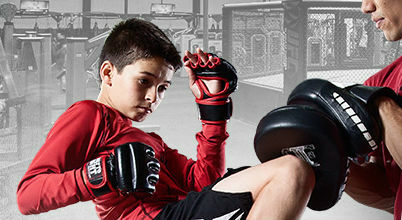 As the fastest growing sport in the world, MMA offers a bit of everything. 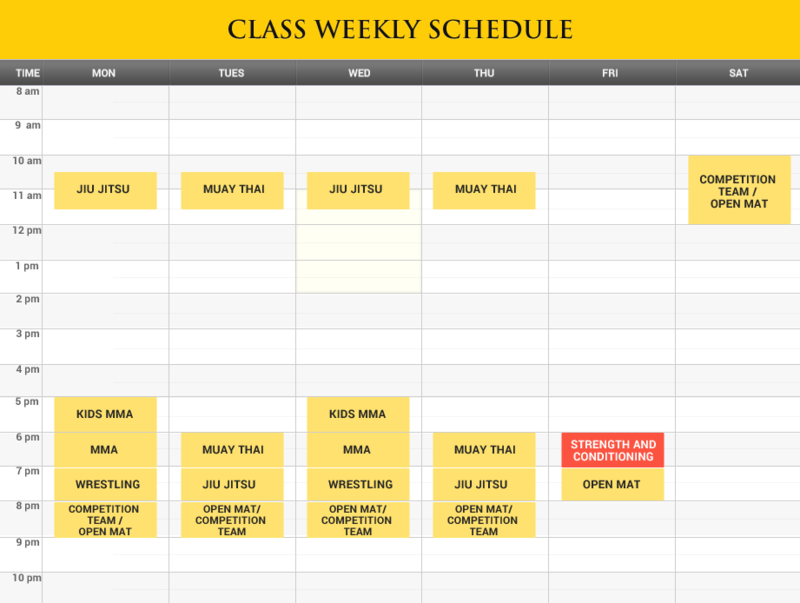 Brazilian Jiu Jitsu is primarily a ground fighting martial art focused on positioning, chokes, and joint manipulation. Jiu Jitsu remains one of the most technical forms of martial arts to date. 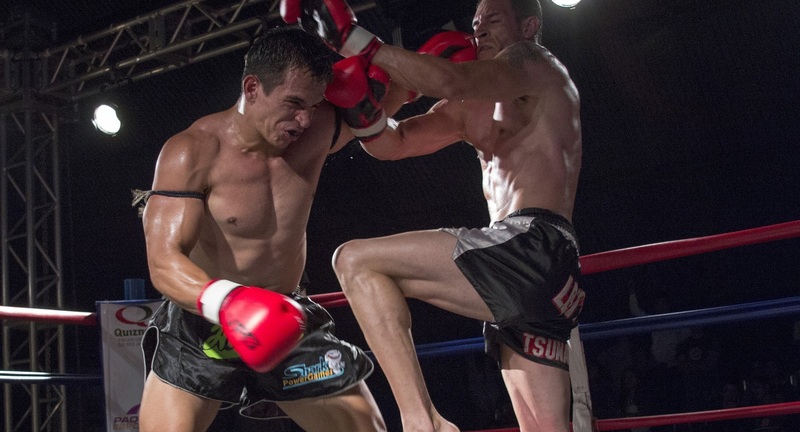 Muay Thai is a stand-up martial art that features punches, kicks, knee and elbow strikes, and takedowns. Called the “art of eight limbs,” muy thai is the only stand-up martial art that uses all body parts and does not limit one to strikes above the waist. Mouthpiece and gloves required. 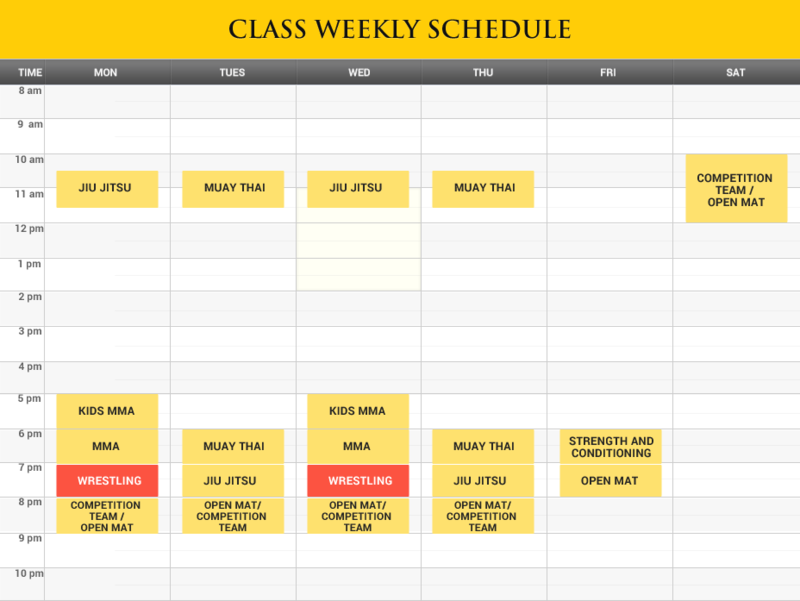 Wrestling is a foundational skill, perhaps the foundational skill, in the martial arts. 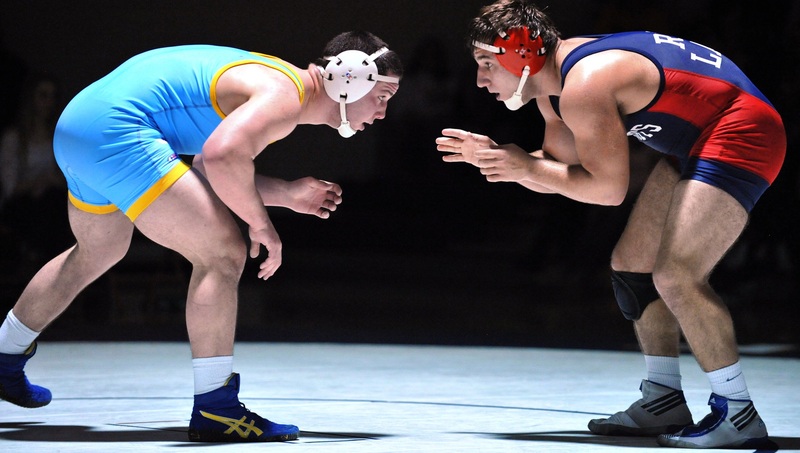 Wrestling focuses on advanced takedowns and ground control. 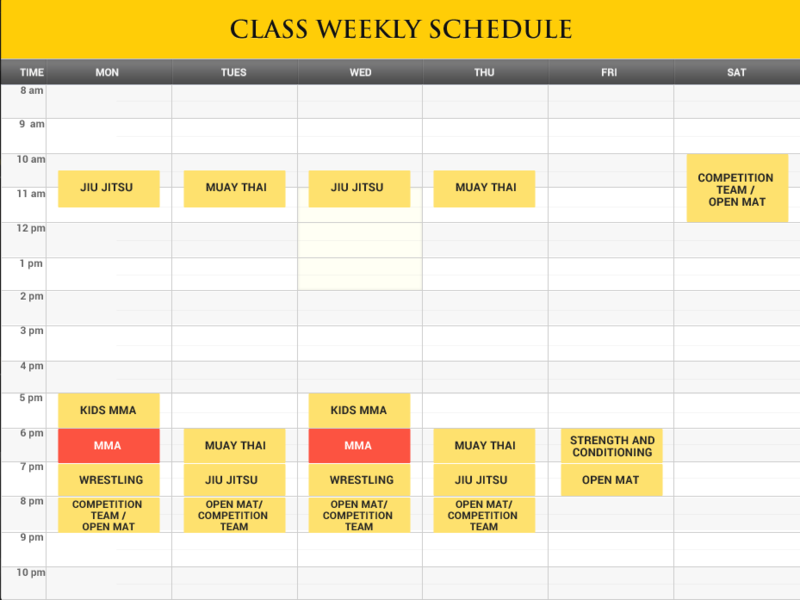 The Kids’ MMA class teaches Muay Thai, Jiu Jitsu, wrestling, and much more in a safe, supported environment. Your children will develop self-confidence, a sense of responsibility, and greater respect for others. These benefit your children both on the mat and in everyday life. Strength and conditioning are essential to every student’s training! Conditioning makes you stronger as a martial arts student and helps you develop cardiovascular endurance for better performance overall. 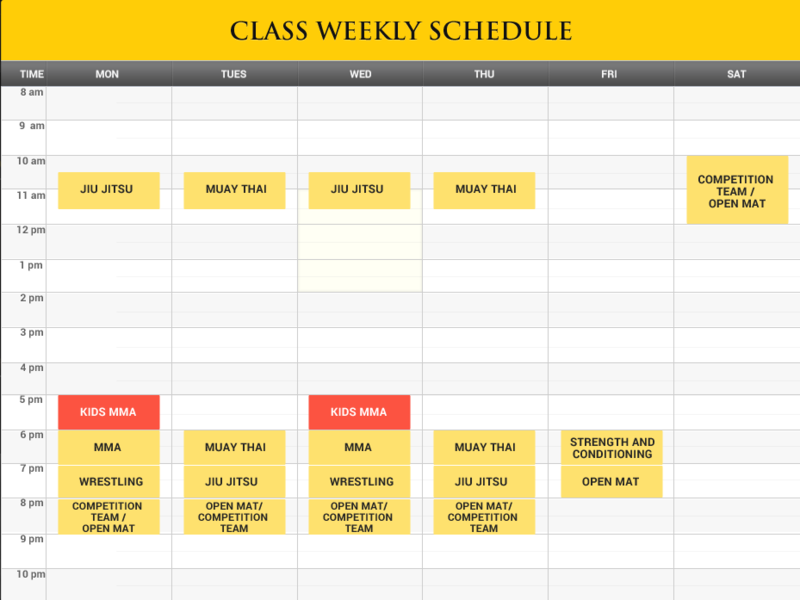 Private Training is where our champions cater to your personal needs and wants. 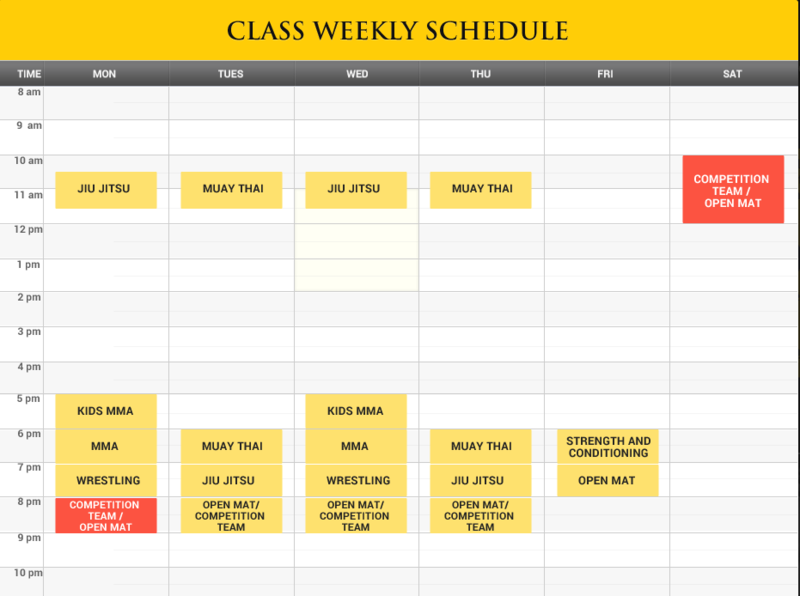 Ludus offers all forms of private training, for whatever, you as the student may want. With private training the focus is solely on your growth and development. This types of training will offer the chance to excel much faster than in a group setting. Inquire further if you're interested in growing at an exponential rate. 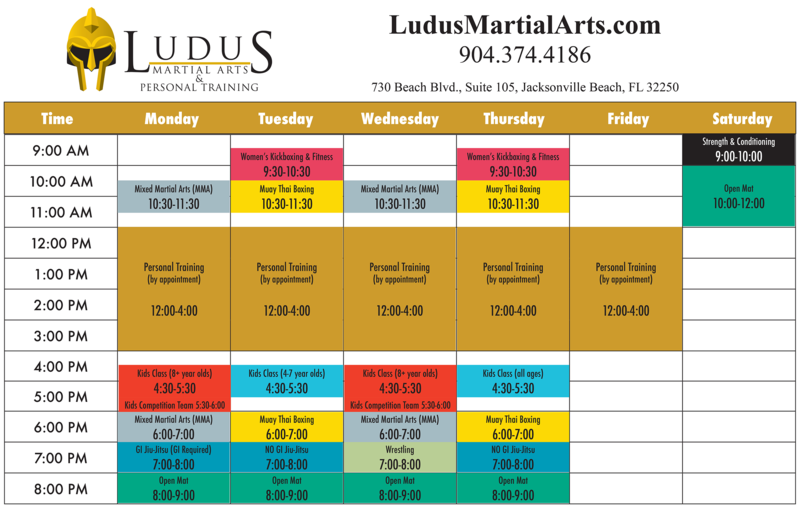 Ludus Martial Arts has the best competition team in Jacksonville. We train across all martial arts disciplines and compete in MMA, Jiu Jitsu, and wrestling tournaments, as well as kickboxing and Muay Thai contests across the U.S. Every coach at Ludus Martial Arts is either a current or former competitor, so they are well-qualified to teach at the competition level and address the many questions raised by new competitors.